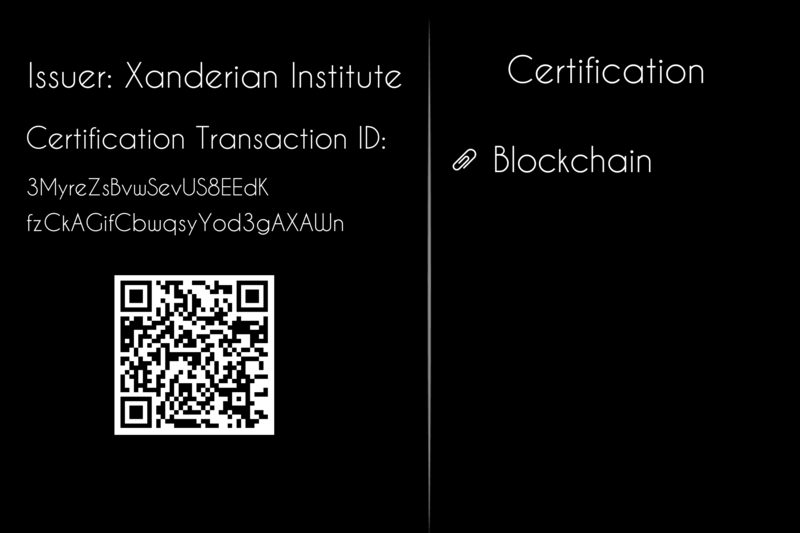 The Xanderian Institute uses the xandereum token to grade users on its online education platform. After applying and studying a course, a student does a project. After the project is done, the students project is supervised by supervisors. 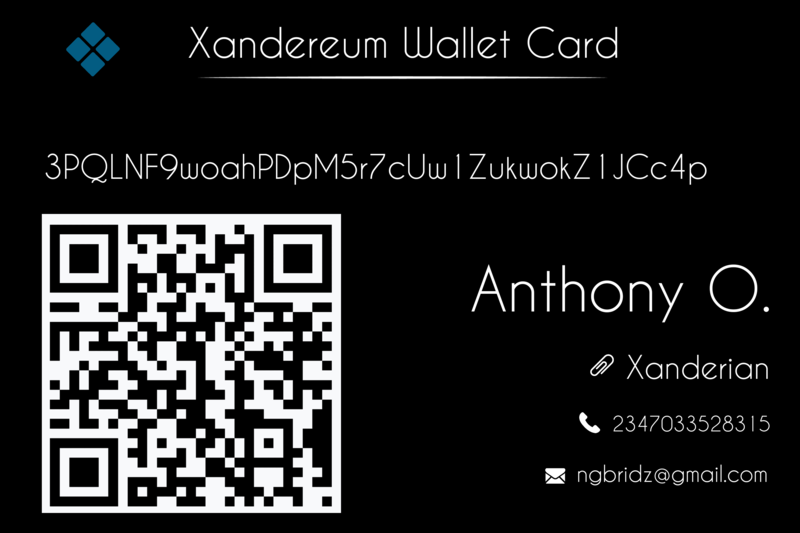 After the supervision, we grade the project using the xandereum token. For instance, if we grade a student’s project as an Einstein (what this implies is that the intelligebce that resides in the project equatable to Einstein’s intelligence), it means he is graded within the range of 10, 001 - 100, 000 xandereum. This means that the student would have to pay between 10, 001 - 100, 000 xandereum too receive his certification. He cannot be graded less than 10,000 xandereum and cannot be graded more than 100, 000 xandereum. When we receive the xandereum (as in the example, 10, 001 - 100, 000 ) when will write in the attachment section of the waves wallet (For example, grade— Einstein, course— Blockchain). This will be sent in a transaction so that it is stored in the waves blockchain perpetually. Which can viewed by anyone on the waves explorer. So if I buy 1 million then Im in the Newton Range? No. The grade is for those who study at the Xanderian Institute and are graded using three amount of xandereum they are ready to be graded with. You can buy xandereum but it doesn’t mean you have been graded as a Newton. Update on the Xandereum project. We’re working earnestly to get people lecture on the institute. We are also working on a bookstore. Possibly, a simple bookstore in the beginning but a more robust one in the coming months. We are slated to run a Pre-sale in quarter 1 of 2019. No date yet. There is only going to be 1 billion out of the 100 billion sold in the ICO. The rest 99 billion will be ‘mined’ by posting lecture materials and by basically using the institute. The amounts giving vary and will in no way reduce the value of the token. We have a market waiting for our product. This institute is totally free, thus, we already have tones people looking forward to it’s release. 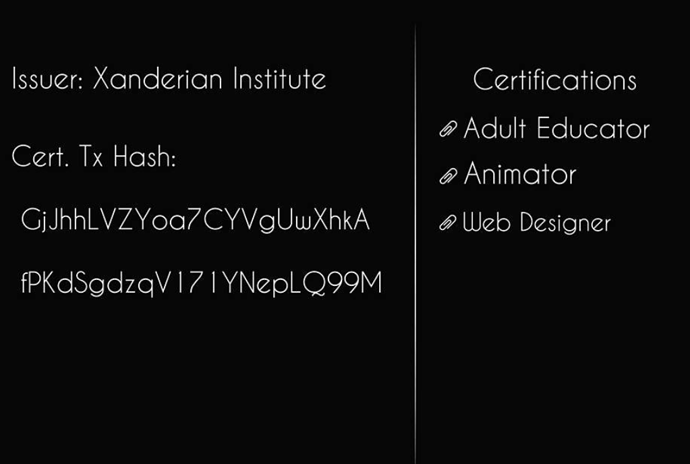 We’ve also already developed our certification card. Picture below. 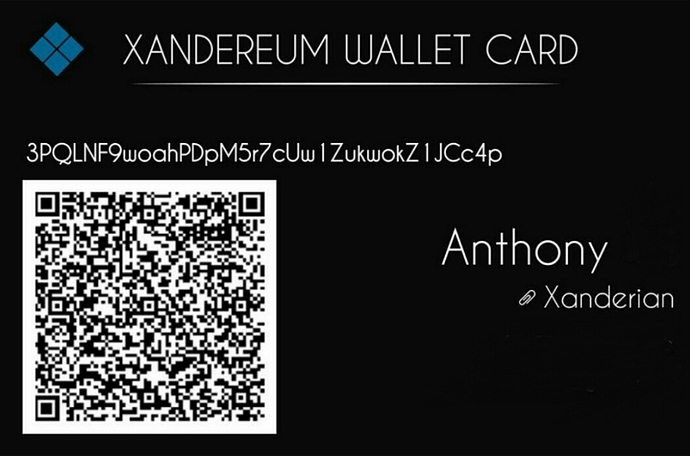 It basically, embodies the principles of the Xanderian institute. We in no way want to be derivative of a traditional institute, hence the certification card. The certification card is merely a representation of the real certification that will be present of the waves blockchain. We’ve made progress on the development of the xanderian institute bookstore. The xandereum token is the token for buying books at the bookstore. The site is still being developed but will be launched soon. We have added a new feature to the card. We’ve made the certification transaction ID scannable with a QR code!